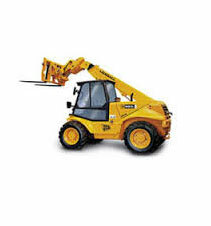 The NPORS N011 Telescopic Handler training course aims to provide the candidate with a thorough practical and theory training in operating a Telescopic Handler in order to to enable the candidate to pass the NPORS Theory and Practical Tests. Established in 1992, the National Plant Operators Registration Scheme is now one of the UK’s leading Accreditation and Registration Bodies, working across the Construction, Industrial, Utilities, Warehousing and Distribution, Agricultural, Ports and Marine sectors. NPORS offers flexibility, whilst maintaining standards, both nationally and internationally by working with industry and Accredited Training Providers. To achieve the NPORS Operators Card candidates must pass both the NPORS Theory and Practical Test. Once you have achieved your NPORS Operator Card it lasts for 3 years.